The nation's top freshman girl distance standout was born into a family of runners. Brooke Rauber's mother, Michelle, was a Division III national champion in the 1500m indoors and 10K outdoors at SUNY Cortland (NY) under Jack Daniels. Her father, Chris, is in the Edinboro (PA) University Hall of Fame as a seven-time cross country and track All-American and was a member on four Division II cross country national championship teams. 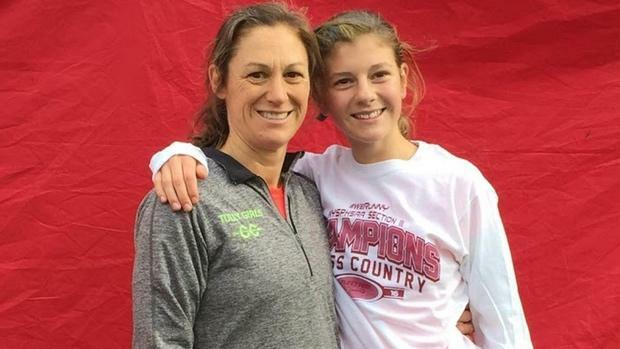 Being the offspring of runners and the daughter of Michelle, the head girls cross country coach of Tully (NY) High, there seemed to be an idea that Brooke was born to run. But Michelle stayed away as long as she could, watching Brooke decide on her own time. Her daughter grew up playing soccer and basketball. 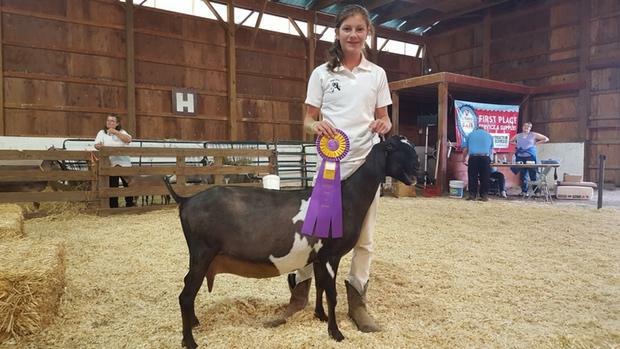 She showed championship dairy goats in 4H dressed in her whites. Then, finally, in the 7th grade Brooke finally decided it was time. "Mom," Michelle remembers her daughter saying, "I want to run." "I was like, 'THANK GOD,'" Michelle said. It didn't take long for Rauber to earn her keep, as the 7th grader broke three consecutive junior high records, moved up to varsity, and then finished third at the New York Class D championships. 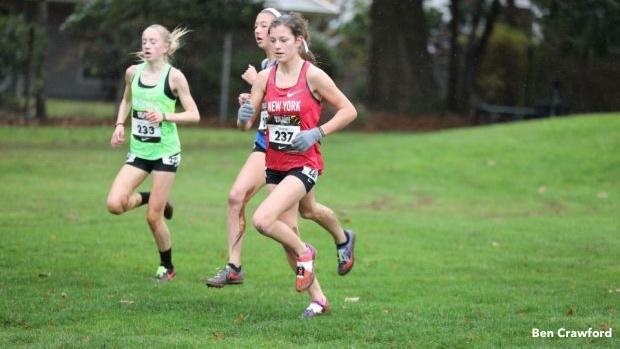 She won her first state title in the 8th grade, then followed as a freshman and closed hard in her first Nike Cross Nationals in December, placing sixth overall to score an All-American nod. Her time on the track, however, has been more conservative, with Michelle eyeing progress rather than instantaneous success. Brooke has earned just one state title on the track -- in the 3K steeple, she was the fastest in Division 2 -- and she's run everything from the 60m to the 3000m, where she owns a US No. 5 time of 9:50.75. "I love putting in distance," Brooke said. "The farther I go, the better I am." But perhaps her time is coming soon. Rauber recently received an invitation to run in the prestigious NYRR Millrose Games mile run, where she will line up against New York state powers Katelyn Tuohy, Kelsey Chmiel, and Katherine Lee, as well as Pennsylvania's fast rising stars Marlee Starliper and Gabrielle Wilkinson. "Every time she sets goals, she just blows them away," Michelle said. "I don't set goals anymore. We're just at, 'Let's just see how you can run this pace.' When I tell her to go out in 40s, she just goes out there and runs forever." But Michelle knows there's a lot left in Brooke to accomplish. And as her coach, she's wary of placing too many miles on her at too young of an age. Michelle also cites a strong team at Tully, helping Brooke acclimate both as a teammate and as a runner. "We don't train a lot," Michelle said. "Between last year and this year, she's grown two to three inches. She's stronger now." As a freshman, she trains roughly 35 miles a week, including warm-up, workouts and cool downs, focusing on taking runs a little bit faster rather than a little bit longer. She hasn't zoned in any particular race. "If she could run the 3000 meters every time, she would," Michelle quipped, "so we try to break it up." That's one reason why Brooke has raced in a variety of events this season, showing her speed in the 300m on Jan. 16 in 44.27 seconds and a couple weeks earlier in the 600m in 1:40.29. Outdoors, she's even dabbled -- rather successfully -- in the 2K steeple, where she finished eighth at New Balance Nationals Outdoor. The longer the events get, though, the more Brooke starts to emerge. Brooke is currently US No. 30 in the 1000m (2:59.88), US No. 5 in the 3000m and US No. 10 in the mile (4:56.61), including No. 1 for freshmen. Brooke's leg speed was even evident on Jan. 16, when Michelle entered her into the 55m in a small meet. She ran 8.06 seconds. She's also been timed at 27 seconds for the 200m in practice. "This season is just mainly about having fun," Rauber said. "That's why I'm running all these events." But don't get it twisted. Brooke has also set her goals high, with aspirations on finishing as an All-American in either the mile or two-mile at New Balance Nationals Indoor. The freshman indoor class record in the mile is 4:40.1, last achieved by Mary Decker in 1973, while the two-mile indoor mark is 10:23.46, achieved by Michelle deal Vina in 1998. Brooke's performance in the Millrose Games mile could be a great indicator of just what kind of future she has in store for the next four years on the track. "We always talk that it's not all about winning," Michelle said. "It's about running fast and doing your best. If you work on racing fast, then things will happen." Michelle has seen how her daughter is a fast study, though. At a recent meet in Syracuse, Brooke competed against Fayetteville-Manlius senior Sophie Ryan in the 3000m. The pair were hip-to-hip, working off each other as they both pushed for a career best time. With 600m to go, Ryan pulled up on Brooke's hip, urging a response, and then it came, with the freshman putting in a surge that forced Ryan to keep up with all her might. Brooke noticed Ryan's breathing pattern. And she pounced. Later in the family's drive back home, Michelle listened as her daughter examined the race, remembering the small details. "I'm kind of amazed when I hear this," Michelle remembers. "but it told me she's really becoming strategic." Next up, the nation's best freshman against the country's best high school milers.